I sat down this week to sort through my maternity clothes. There are no plans for another baby here anytime soon and as a friend has had the lovely news that she is expecting, I thought I would see if there was anything I could lend. As I looked through the piles of vests, dresses and bump bands, I remembered buying each item with excitement about how I would fill it out, and I remembered wearing each item, the proud bump shots I took in a top, or the wedding I attended at 37 weeks pregnant in that (incredibly) stretchy dress. It seems like so long ago that I fitted into these clothes. So long since I felt my little squish kicking from inside. I sat down and read his birth story, remembering the excitement and anticipation. 14 months has passed since that day, and the beautiful newborn with eyes so bright is now the cheekiest toddler, with the same blue eyes and a lot more hair. I was so lucky to have the birth I wanted. It was calm, quick and perfect, and as the sun was rising, I was getting into the water, ready for my little man to make his big entrance. I don't remember much from that day other than my baby. I know it must have quite cold, as it had been a bitter winter, and I know it was clear. I had watched the sunset the night before with it's rainbow of red and orange, but Archie's first day was all about him. This photo was taken early on that chilly Sunday morning, while most people were still nursing a hangover or enjoying a lie in. This is the sun rising on the first day of Archie's life, the first day of our lives as a family of four and for that reason alone it is beautiful. The Day That have photographed every new day since June 2005, to remember the moments we are too busy to and I adore the idea. 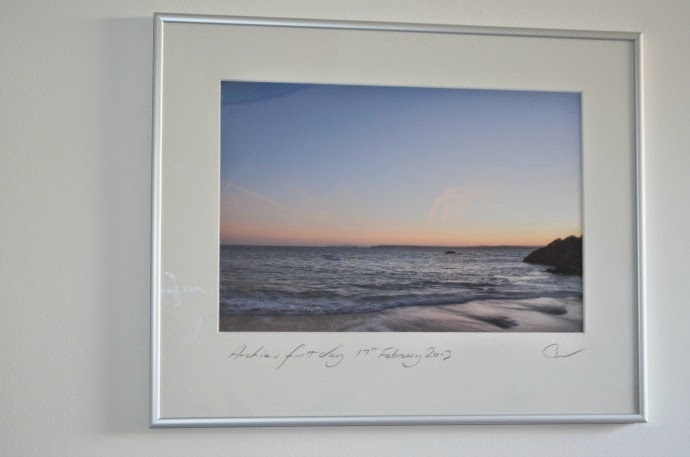 There is no sunrise more magical and more full of memory than the first day of a new life, even if I didn't witness it myself and my photo proudly sits on our wall. The quality of the photo, the hand written caption, the choice frame and the fact that there were seven photos from the day to choose from give this photo a unique and beautiful touch and I love this new addition to our house. 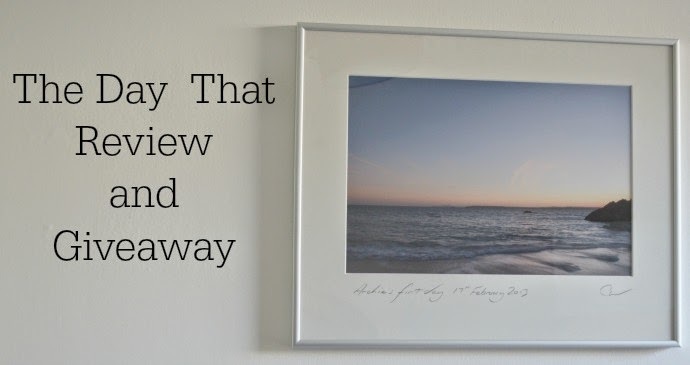 The Day That are now offering digital downloads as well as framed pictures that you can print, frame and stick on facebook and I have one to give away to three lucky readers. The entry is via simple rafflecopter below - Good Luck! What an incredible picture to have - which bit of coast is it? As for me it would either have to be our wedding day or one of the girls' birthdays. I really wish there was one for the day H and I were born but we're just a smidge too old for that! I think it would be january 13th 2012 - the day we completed sale for our family home - the house I have brought both my babies back to; we are working hard to put our own stamp on and I want my children to grow up in. romantically it was only owned by one other family! Our wedding day or most probably the day I gave birth to our gorgeous son at the age of 44,best day of my life. LOVE this! It would have to be Leo's arrival in the world! What a wonderful reminder of the most transforming day of my life. It would have to be the day Bear was born - I watched dawn from the patio doors, excited she was on her way and it was going to be a wonderfully hot day for it - even wondering if the birth pool could be set up in the garden!! LOL. And then spent the rest of the day in a windowless hospital room not quite having the birth I'd planned! Such a lovely idea! I love the idea of marking that amazing day with such beautiful photos. Off to have a look at the site now and learn more about the pictures. Thanks for a fab giveaway.